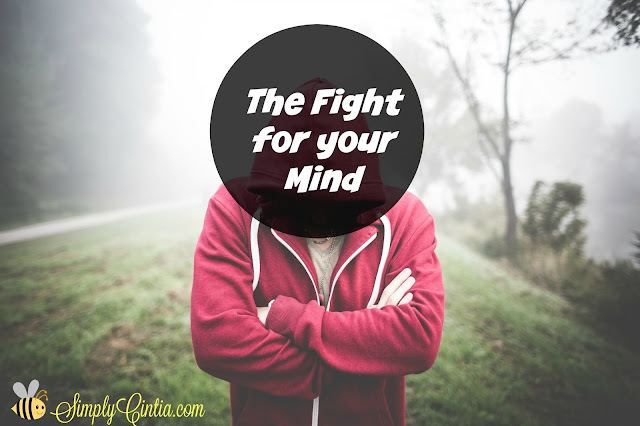 Every day, when you and I wake up, someone is fighting to possess your mind. Your phone wants your mind. The fun, innovative games you can play there want your mind. Your current problems want your mind. Your favorite podcaster definitely wants your mind. The newscaster wants your mind. The issues you had in your past want your mind. By now you can see that there is a well-defined fight for your mind, every time you wake up. God, who created your beautiful mind, gives you the freedom to choose where you will set it. You can set your mind on your problems and rip the fruit of anxiety. You can also release those problems to Him and rip the fruit of peace. I love how I actually get a choice when it comes to God. He offers peace, He offers self-control, He offers joy to fill my mind as I follow His plan for my life. The world I was born in, has always been a scary place (1 John 5:19). I also know that it doesn't help me any to dwell in that fact for 24 hours a day. I have decided to practice self-control and not to be entangled by the constant appeal of those who want to take control of my mind. Call it being over positive if you want to, but I have decided that I get to choose who I will give my mind to. Oh, I will be picky about that too! Everyone who wants my mind has an agenda. The gamers have an agenda for my mind, the advertisers, the journalists (I'm one of those you know? ), the podcasters, you get the point. God also has an agenda for my mind: peace and joy. It's Monday and I'm not gonna hang a pretty bowl at the end of this post because I want you to choose wisely. My friend, choose who will set the agenda for your mind today. Remember that you are the only one with the keys to your mind. Don't hand those keys out frivolously.